For more than 50 years, the construction accident lawyers at Friedman, Levy, Goldfarb & Green have helped individuals that have suffered on-the-job injuries in and around New York City to recover the largest amount of economic damages available from negligent construction companies and their insurers. Injured parties that contact us soon after they are injured have the best opportunity to receive the compensation they need to pay for the immediate and long-term medical care that will help them to recover from their injuries. Construction sites pose many dangers to workers and innocent bystanders alike. Construction workers are subject to high level of risk as they are often involved in potentially dangerous tasks such as lifting heavy objects, operating large machinery, and performing job duties at elevated heights. Still, proper protocol and safety practices can decrease a worker or bystander’s risk of injury. When a contractor or its employee causes a preventable construction accident through negligence or a violation of New York State Labor Law, that contractor may be liable for the victim’s injuries. When a construction accident causes harm to an employee, workers’ compensation laws will generally apply. However, the injured construction worker may still hold the site owner, general contractor, construction manager and subcontractor liable if the accident resulted from a fall from a height, ladder, scaffold, through an unsecured opening, from a falling object, or a violation of one of New York’s many industrial regulations. New York State Labor Law Secs 200, 240(1) and 241(6) were enacted to offer extra protections to construction workers from the many dangers of construction work. Whether you’re a construction worker or merely a bystander who has suffered injury as the result of a construction accident, you may be eligible to receive economic recovery for your losses. Our attorneys can help you understand your legal rights and determine a course of action. Impact injuries from machines, tools, or materials during demolition tasks. This is not an exhaustive list of potential risks or injuries that construction workers or bystanders might experience. Construction sites are active places with conditions and risks that change frequently. When management fails to make safety a top priority, those changes can lead to many types of injuries. Liability for construction site injuries is established by showing that an employer or construction site manager was negligent. An employer or job site manager is deemed to have been negligent when it failed to exercise the basic level of care that other employers or managers would have exercised under the same circumstances. If, for example, a construction accident victim is injured by a falling tool that was dropped from a scaffold, an employer would likely be deemed to be negligent if the basic level of care for using tools on scaffolds calls for those tools to be secured by retaining devices, but the employer failed to provide those devices. Employers and their insurance companies will often argue over what constitutes an accepted level of care. The lawyers at Friedman, Levy, Goldfarb & Green have a wealth of knowledge and experience to win those arguments, to place liability squarely on the shoulders of the responsible parties, and to recover economic damages for parties who are injured on the job. Workers compensation insurance is a primary source of recompense for a construction accident injury, but you may discover that workers comp insurance payments fail to cover the full amount of your medical expenses or to replace lost income when you are unable to work due to an injury. Our construction site injury lawyers will challenge those insurance companies and fight for more equitable payments for medical expenses and disabilities. The injury was caused by a third party. 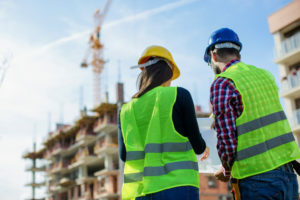 Further, non-employee bystanders that suffer an injury at a construction site may have a viable cause of action against multiple parties that conduct operations there. If you have suffered injury as the result of a construction accident, you are responsible for proving your case against the liable party(s). It is always wise to seek competent legal counsel after a construction accident to ensure that your rights are protected, especially since a statute of limitations applies to all workers’ compensation and personal injury cases. Construction accidents can cause a broad array of injuries, including soft tissue sprains or strains, repetitive motion trauma, broken bones, and serious internal organ damage and concussions. Call the NYC construction accident lawyers at Friedman, Levy, Goldfarb & Green, P.C. after you have been injured at a construction site to preserve your rights to receive the largest possible monetary award that can reimburse you for your medical costs, your lost income, your pain and suffering, and for other economic losses. If you have suffered injury as the result of a construction accident, you are responsible for proving your case against the liable party(s). This usually requires the help of a qualified attorney. It is always wise to seek competent legal counsel after a construction accident to ensure that your rights are protected, especially since a statute of limitations applies to all workers’ compensation and personal injury cases. Contact us for a consultation with a knowledgeable injury attorney. Our attorneys represent clients throughout Manhattan, the Bronx, Brooklyn, Queens, Staten Island and Long Island. 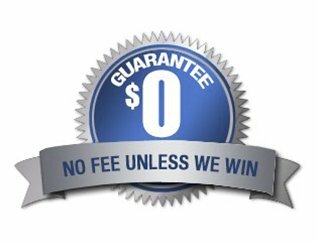 Call us today for a free consultation about your accident, and see how much your case is worth!